MEXICO CITY (Sputnik) - Venezuela’s President Nicolas Maduro has announced the capture of a Colombian paramilitary chief with alleged links to Juan Guaido, a self-proclaimed interim president backed by Colombia. “We have captured the head of the Rastrojos gang in Carabobo state and he is giving testimony… about who hired him and why he was brought to Venezuela,” Maduro told his supporters in Caracas. Maduro said Guaido's chief of staff Roberto Marrero had tipped off the authorities about the alleged paramilitary boss, leading to his arrest. Marrero was detained by Venezuelan intelligence agents on Thursday and is still in custody. Maduro also accused US-backed Guaido whom he called a "diabolic puppet," of orchestrating a plot to kill him. "The American imperialism wants to assassinate me. We have just foiled a plot that the diabolic puppet personally directed to kill me. 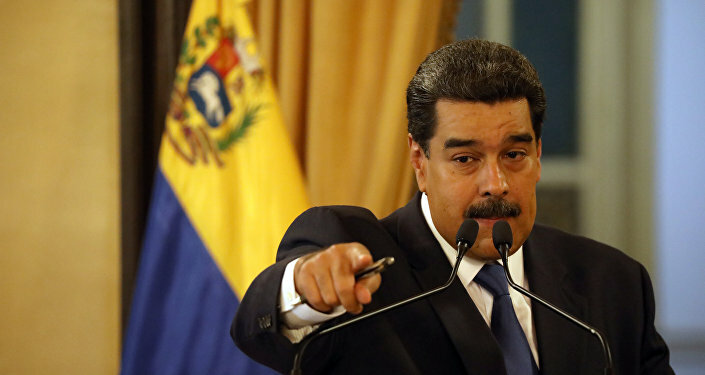 We have proof, but they could not prevail," Maduro told his supporters. Communications Minister Jorge Rodriguez said in a televised address that the plot involved smuggling Central American hitmen into Venezuela. Maduro said that a Colombian paramilitary boss had been captured in Carabobo state after Guaido’s detained associate Roberto Marrero provided the leads that helped locate him. 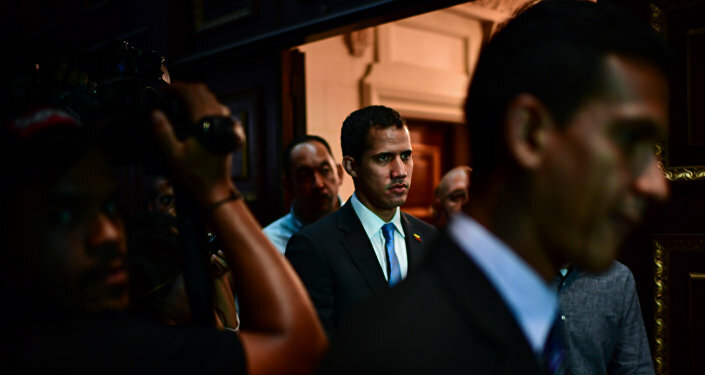 In January, Venezuelan opposition leader Juan Guaido, backed by the United States, declared himself the interim president of Venezuela after disputing Maduro’s re-election last May. Washington immediately endorsed Guaido, called on Maduro to step down and seized billions of dollars’ worth of Venezuela’s oil assets. Maduro has accused the United States of trying to orchestrate a coup in order to install Guaido as a puppet leader beholden to Washington. Russia, China and several others do not recognize Guaido's authority.